Forgot to post this. 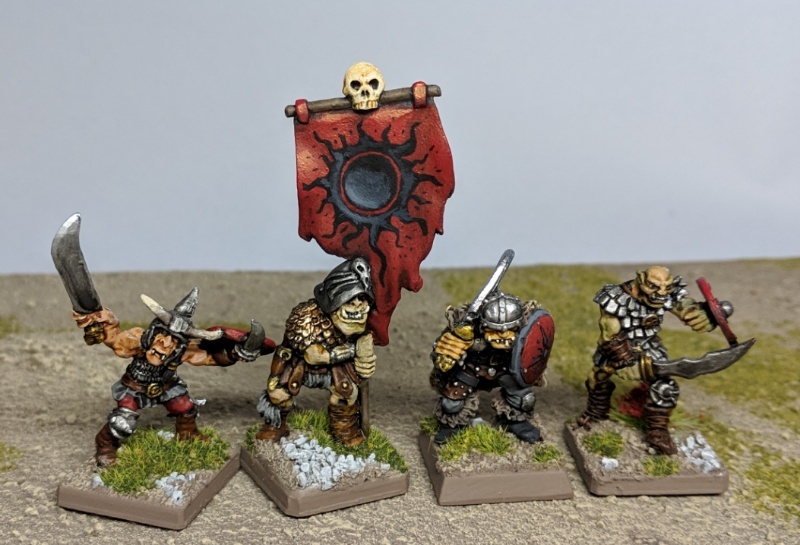 Finished this standard for the half-orcs a little while ago. This was an old mini -- one of the first I owned & painted more than 30 years ago -- and recently stripped. An old Grenadier orc. Photo shown with some of the other half-orcs for comparison. He's a little larger (and uglier) but that's OK -- the big mean guy gets the honor of carrying the standard. Who's going to argue?